Flip Boss Review - Who is Craig Martinez the Property Investor? This is my Flipboss review. The “boss” here is Craig Martinez, who is another guy in the South Florida real estate investing scene. Seems to be there are a lot of people in Sunny Florida that are in this business, which pretty much led me to create this page about where to flip homes in Florida. Craig Martinez from Flip Boss is a new kid on the block in the eyes of most real estate investors. His ads just started showing up on my Instagram page, so naturally, I was curious as to who he is and I decided to dig in a bit deeper. At first glance, he hasn’t been flipping houses for very long at all but is still packaging and marketing his skill sets to mentor others in the wholesale Investment niche. Some people are saying Craig has a great new way of doing things. After I heard this, I felt it was necessary to do a quick review because he is now selling boot camps to other investors. Previously, we’ve had many people thank us for doing reviews on investors that are so new because numerous people enter the industry today and are gone tomorrow. Everyone wants to be a guru, you know, until they figure out it’s more work than they figured it would be. When you currently navigate to flipboss.com, you’ll come across an opt-in form where Craig is presently building a list to sell his mentoring course. It’s mostly a lead capture page with the sole purpose of capturing your email. There is not a lot of information to be had here other than a promise to flip real estate with no money or credit. He also says you do not even have to buy the property. Lots of promises here without much content to really sell me on why I should sign up. 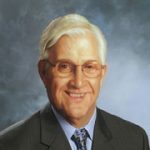 After digging in a bit on his background, I found that Craig Martinez started into finance with his uncle back in 2005. Three years later he jumped at an opportunity to be a general sales manager at a car dealership in Fort Lauderdale Florida. Craig continued to work in the automotive industry up until September of 2014 where he decided to make his way over to real estate investing. In June before moving on from the dealership, he became the CEO of Now Home Buyers LLC. It was also in this window of time where he married Laura Bianca in Dec of 2013. Laura serves as VP to his LLC’s and is President of E3-Investments LLC. Craig Martinez is the father of 3 boys and is married to Laura Bianca. Craig and his wife Laura seem to have shared the same interests from the days back at the automotive dealership and have worked as a Duo in the real estate investment industry ever since. 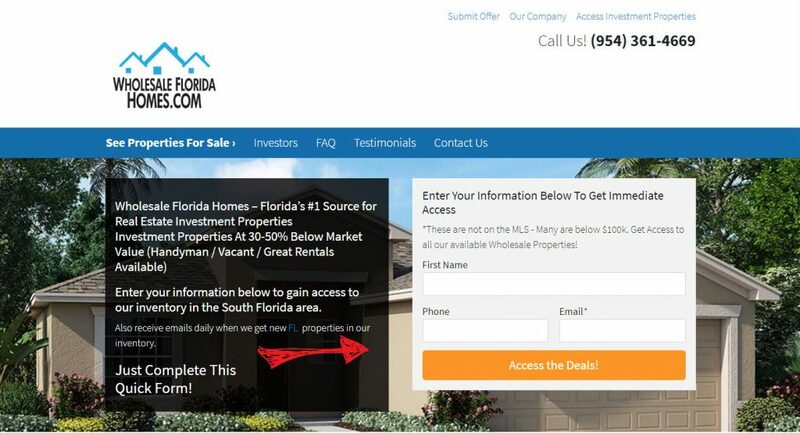 Wholesale Florida Homes – Craig and Laura have a website called wholesale Florida homes where they offer to buy your house for cash. With their marketing strategy, the team will wholesale these homes to investors at a deeply discounted price. They claim to find these properties through foreclosure sales, discounted homes, homes in need of repair, handyman deals, investment homes for sale, bank owned foreclosures or REO properties, distressed property and discount multifamily properties. So let’s recap what we know so far…. Craig has been in this space for less than 4 years and is already trumpeting himself as a guru. Most of his experience is in the automotive industry. Next, I was turned on to a TV Show Pilot Flipping Florida w Craig & Laura. The husband-and-wife team has now set their sights on a TV show pilot called flipping Florida with Craig and Laura. In this Television Show, the husband-and-wife team focuses on finding opportunity through distressed properties and work together to bring them back to life. In the pilot trailer, they talk about finding homes in the $200,000 to $300,000 range and attempt to make them look and feel like million-dollar homes. I have no problem with this, and it’s always good seeing people parlay their career into TV, so I offer my kudos to that. Perhaps they were cast because Craig’s wife speaks well, and is someone you could see doing commercials or modeling. She’s from Colombia, a country known for it’s gorgeous women. She’s a natural on camera, and a beauty. Craig, well, he’s sort of dry and quiet. Watch the clip below and you’ll see what I mean. 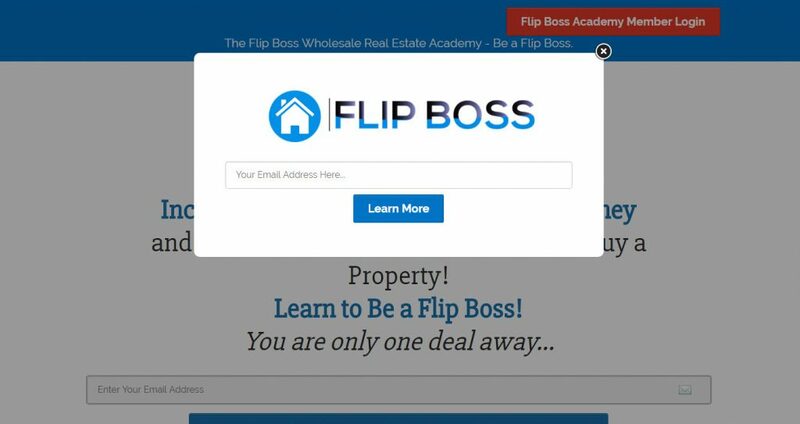 Again, the Flipboss.com website is just an email opt-in page to sell you by his email list. To me, this is a major red flag. Without much information or background, how can I sign up here? To the contrary, check out another South Florida local, the guy I learned it all from – Your Flip Coach. Not only does his website convey value immediately, but you’ll also see Ryan’s life story played out for you as well as see videos of him educating. This open forum where I can learn about him prior to giving away my personal information is highly welcomed, and something that gave me the trust to inquire about his program, which I rate a 10 out of 10. Initially, Craig offered a four-day webinar boot camp where he would reveal many of the secrets in a format that can help his audience. In this webinar series, he covers specific topics related to his style of training. In this webinar series, he says he will show you actual case studies on what he paid for them and what they sold them for, including the strategies on how they sold them. Craig has now converted the boot camp to a full one-day live event and combined it with his flip boss lifetime Academy membership package. He claims the membership package values is $8,146. He is offering access for the first 30 members at $797. Currently, Craig has only six testimonials on his site and YouTube. The testimonials didn’t give me a lot of information concerning whether the course would be a benefit for me. Each seemed very similar to each other leaving me to believe they were not genuine. Should people invest in Craig Martinez and his flipping boss program? I’d personally give it a two thumbs down. He lacks experience and he’s trying to be just another online guru. Most mentors I’ve come across in the industry will tell you themselves, you do not want to learn from somebody who has not made enough mistakes. Very simply, you want to learn from somebody who has failed many times and then broke through because of perseverance. The thick skin from failure develops the character. Betting on somebody that has been in the industry for such a short period is extremely risky and can be expensive. There are many other mentoring options available for people to explore. Working with an experienced team only makes sense. There are things you can only learn from doing the mileage. The ideas are only expensive rehashed ideas designed for the newbie. Someone new can put their money to work in better ways.